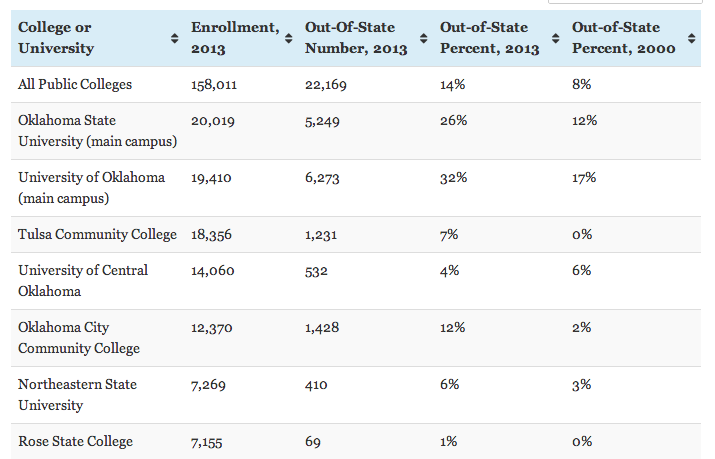 The percent of nonresident undergraduate students at Oklahoma’s public colleges and universities has risen significantly statewide and at most institutions since more than a decade ago. The figures are for the fall semester and do not include international students. Click or tap on a column heading to re-order table. Search by college. The huge increase in college costs has priced some families out of higher education altogether. Even fallback schools often cost a low-income family more than they earn in a year, putting them entirely out of reach regardless of financial aid, scholarships and other assistance.